If you are more than an hour away from Winnipeg or anywhere in Canada, you can still host an Elise show! Simply book an Online Video Show and follow these three easy steps. Simply let us know what date you'd like to have your Online Video Show and our Booking Coordinator will send you an e-vite for your guests. Your guests can look at the product through the online catalogue but also the video clips on many of the products. The 30-60 sec clips are perfect for seeing the features of the item and why the owner of the company chose the item for the collection. An online show is also perfect for those who don’t have the time to host, but would like to get in on the Hostess Rewards. 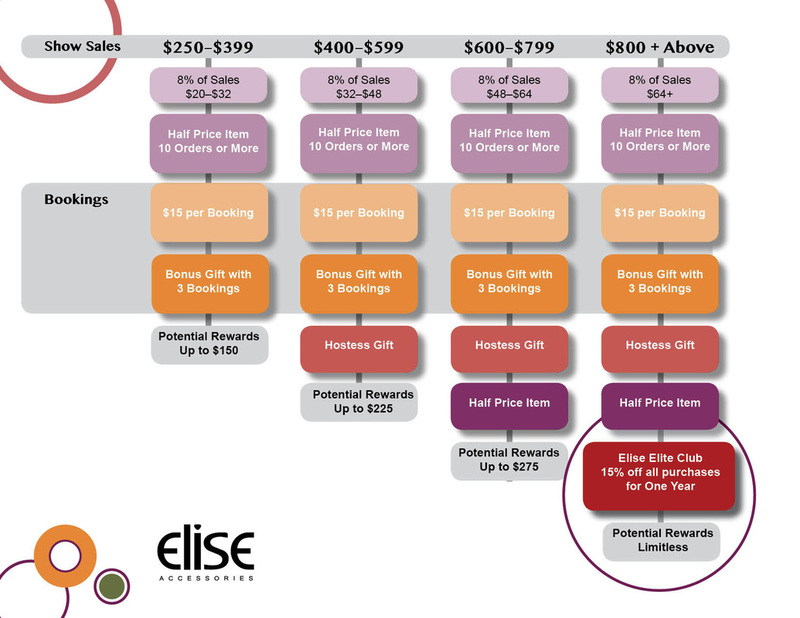 of the Elise Elite Club and earn 15% off all your future purchases for a whole year plus many other specials offered only to this group of hostesses. The rewards for additional bookings are also substantial. This is in addition to all the other hostess rewards! Book your Online Video Show today!